This is pretty awesome. Google just announced a new service called Account Activity, which tells you what you've been doing. 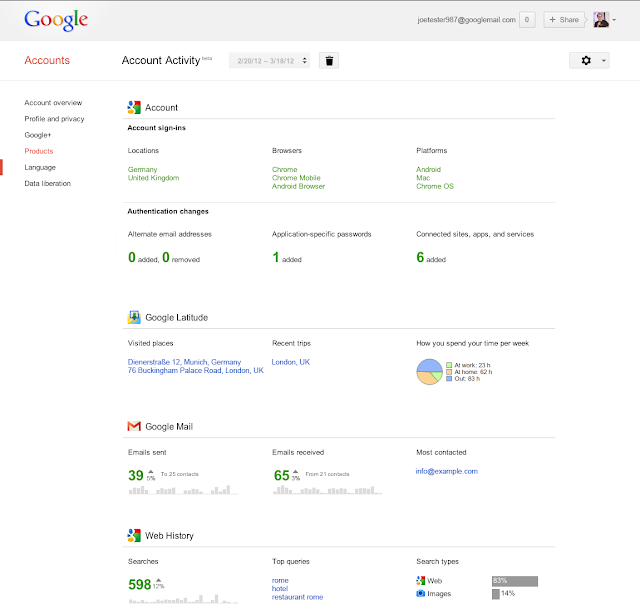 You sign up for it, and Google will send you a monthly report full of stats on your own Google account. It's a kind of a "quantified self" tool for stuff you do on Google services like Gmail, Search and YouTube. It also shows you some data on how others use your content -- for example, it will say how many people have watched your YouTube videos.